Advarra® provides comprehensive review and oversight of clinical trials involving recombinant DNA, synthetic nucleic acid molecules, genetic engineering and gene therapy research. Whether you’re conducting a study or establishing best practices, Advarra can work alongside your team to refine your approach. Get expert consultation and support for highly specialized — and highly complex — clinical trials. Leverage Advarra’s global reach to ensure compliant research across sites and around the world. IBC review and oversight are essential for mitigating risks to study participants and researchers conducting studies involving recombinant (rNA) or synthetic nucleic acid (sNA) molecules. Institutions and sites that have either received NIH funds or are conducting NIH-funded studies involving rNA or sNA are required by NIH Guidelines to have IBC oversight. Even if there are no NIH funds involved, IBC review is a best practice. 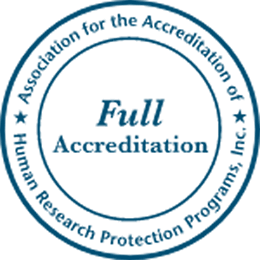 Privately sponsored studies routinely employ commercial biosafety services to enable them to qualify for NIH funding, to support third-party regulatory requirements or for enhanced research safety oversight. NIH Guidelines state that “individuals, corporations, and institutions not otherwise covered by the NIH Guidelines are encouraged to adhere to the standards and procedures set forth” in the Guidelines (Section IV-D-1). If you’d like Advarra to review your site credentials or new protocol, visit the materials required for submission page to learn about the submission process and requirements. With IBC-Ready, Advarra can help reduce confusion and administrative burden by coordinating with the sponsor, site personnel, and local IBC(s) to complete local IBC submission forms. Advarra’s experts can help complete local IBC forms accurately and efficiently, regardless of the IBC of record. Advarra is seeking IBC committee members, community members, site inspectors and consultants across the US to assist on a part time basis with IBC reviews and biosafety-related projects. The Advarra IBC portal simplifies study submission and reporting. Want more information about the role of IBCs, requirements and the Recombinant DNA Advisory Committee (RAC) review process? Read our FAQ. it usually takes 8-12 weeks from a complete submission to IBC review and site inspection.